Inspired by the emerging sense of a contemporary Lowcountry aesthetic, the design of Ocean Enclave is influenced by the ocean’s tides and the artistic imprints left on the sandy shores. Architectural features play a direct role in enhancing the guest’s sense of arrival and foster a sense of relaxation at this ocean-side retreat during their stay along the Grand Strand, South Carolina. 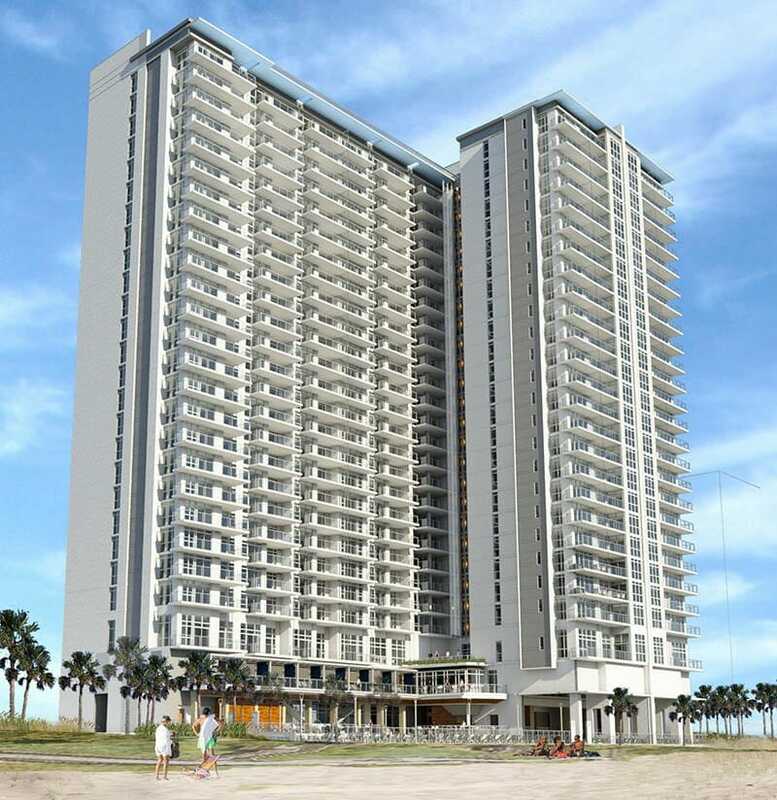 Rendered in a crisp white palette contrasted by warm wood tones, and highlighted by rich, deep, iridescent sand-tone feature walls, the distinctive resort invites owners to experience the vibrant life of Myrtle Beach’s Ocean Boulevard. A second row Preview Center and adjacent five-story parking garage complete the campus and offer a wide array of sophisticated amenities. Together, these new facilities transform a central section of the Carolina coast into a place to celebrate the contemporary Lowcountry life in style. 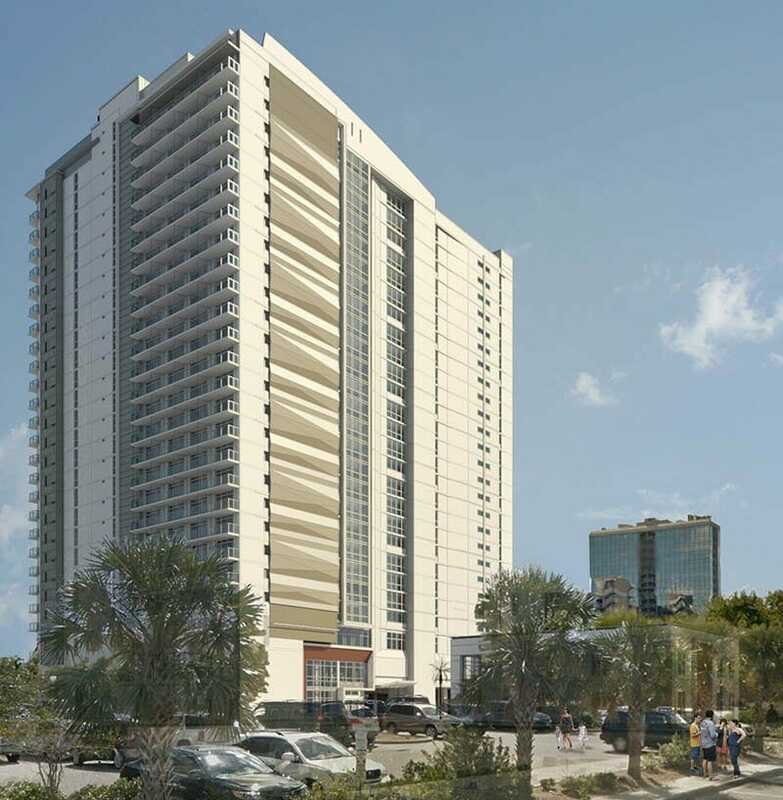 The new luxurious 27-story oceanfront resort contains 330 rooms consisting of one, two, and three-bedroom units with fully equipped kitchens and generous master bathrooms. 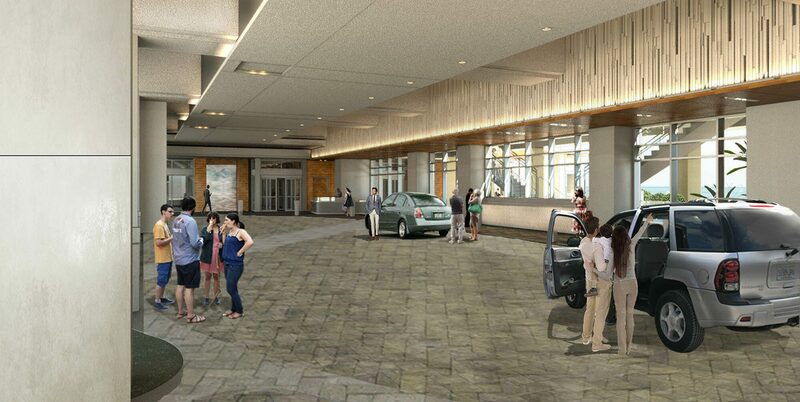 The ground level welcomes visitors via a grand drop-off and connected registration lobby. The resort boasts a large feature pool, indoor pool, and two spas – all of which are heated. A generous poolside bar with panoramic ocean views and adjacent fire pit seating further enhance the guest experience. A lounge with connecting veranda overlooks the pools from the second level. Adjacent is the marketplace, a fitness center, and children’s activities amenities. The third and fourth levels contain a large state-of-the-art Preview Center Gallery, and a new public beach access park to the north and south and extended beachfront boardwalk maximize the project development’s ocean-side siting.